Summer BBQ time with Amy’s! : Great Healthier Suggestions for 4th of July! 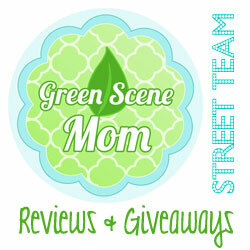 You are here: Home / Archived Content / Summer BBQ time with Amy’s! Summer BBQ time with Amy’s! Great Healthier Suggestions for 4th of July! Looking for a healthier option for upcoming 4th of July BBQ’s and fast and easy summer time dinners? 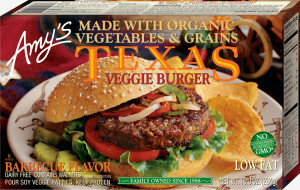 Amy’s Texas Veggie Burgers and California Veggie Burgers are delicious! I had the opportunity to try both and they are simple to make, healthier and delicious! 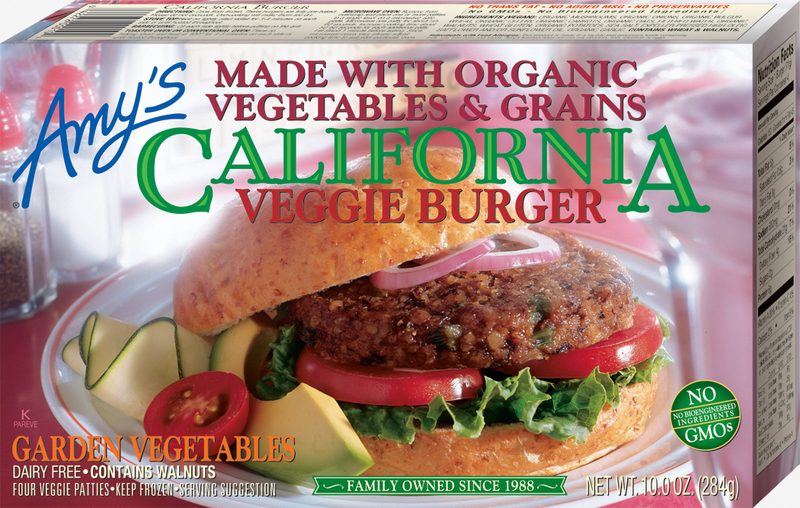 The California Veggie Burger is a delicious blend of grains, organic vegetables, mushroom and walnuts. I like that there is no cholesterol and they taste good too. It was actually my favorite of the two. 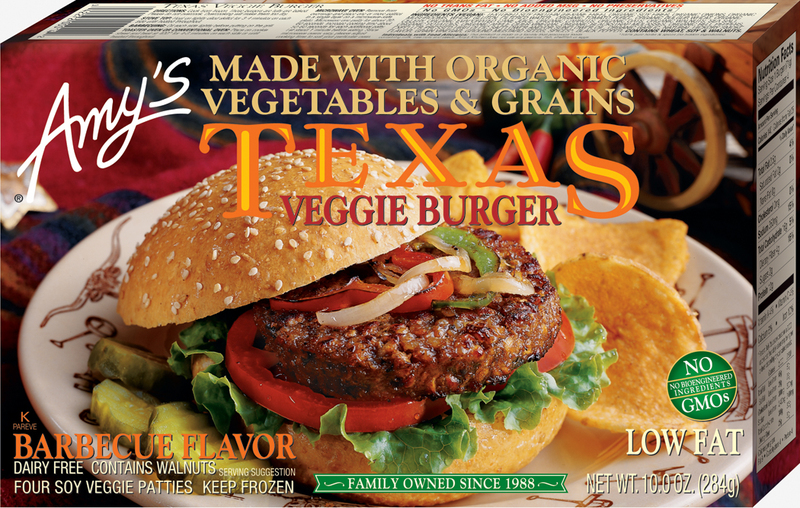 The Texas Veggie Burger is a blend of vegetables and grains and has a mild barbecue flavor. This one also has no cholesterol, and less than 3 grams of fat. You can find them at local stores where Amy’s products are sold. 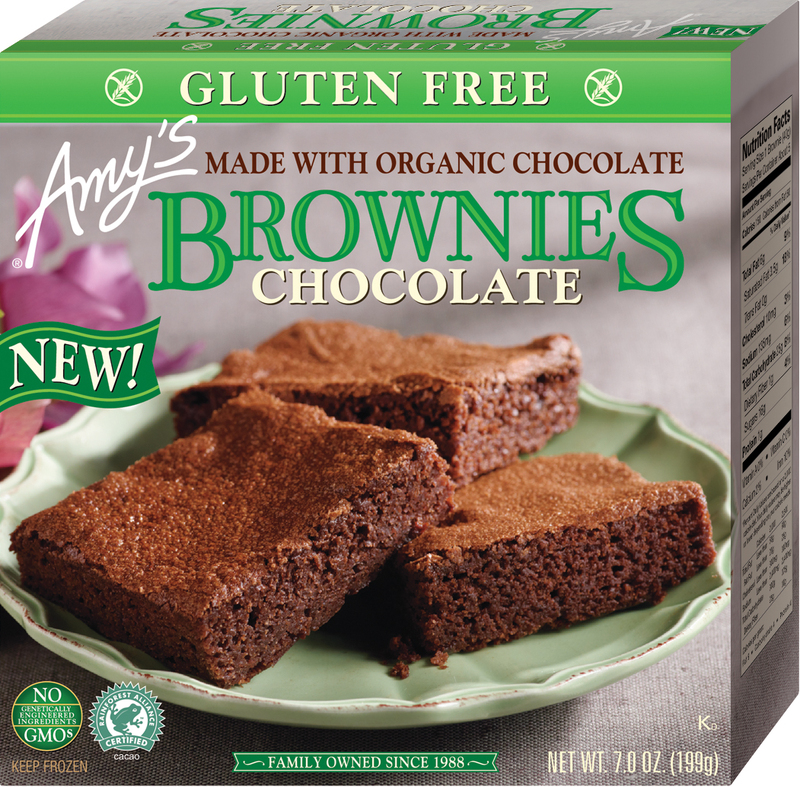 If you are looking for a delicious way to end your meal, there are Amy’s Gluten Free Chocolate Brownies! These were a hit with my son! 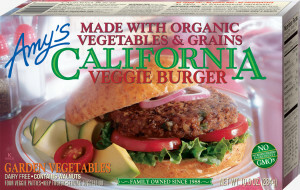 I like that they are made wit natural and organic ingredients and my son loved that they are really tasty! Imagine a yummy deep rich fudgy center and you can imagine what these delicious brownies taste like! They even come un-cut so you can cut them any size that you want! A great dessert for summer time. 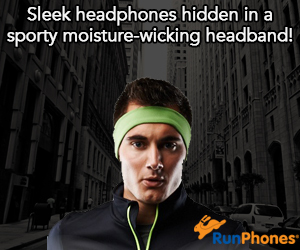 Maybe topped with vanilla ice cream? Yum! Self Disclosure: I received these products for review but opinions are my own.